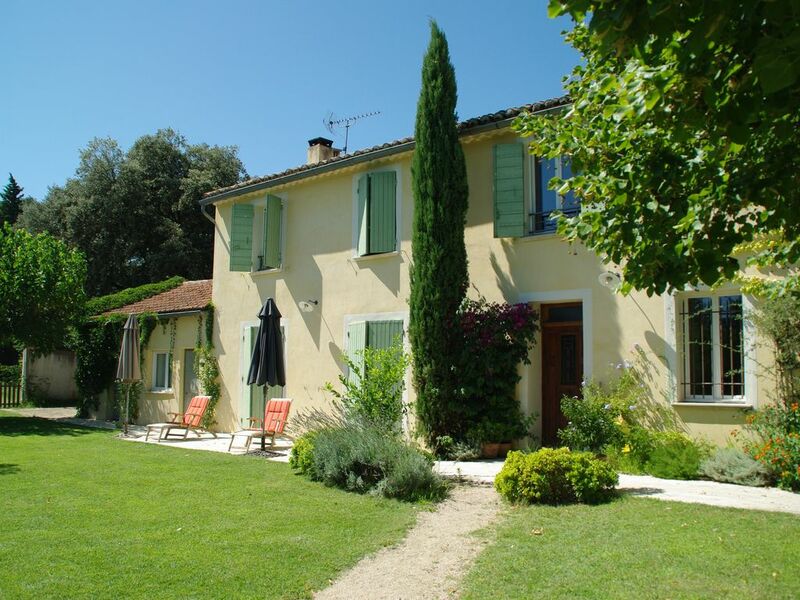 The mas 'Aloha' is located in the heart of Provence, near the town of Carpentras. Its very large garden of 4000m2 entirely fenced, flowered and raised, its large swimming pool entirely cloturé and reassured, its shaded terrace and its magnificent view on Carpentras will offer you pleasant moments of relaxation under the Provençal sun. Our farmhouse of 220 m² will offer you all the necessary comfort for a beautiful and relaxing holiday. The 5.5m x 13m swimming pool is secured by a lockable door and a professional alarm. It is entirely surrounded by lush vegetation. 6 deckchairs with cushions at your disposal, parasols and sun shelter. A person passes every week for pool maintenance. Durée minimum de location : 2 semaines Frais de ménage : 120 € en fin de séjour Acompte de 30% à la réservation , le solde un mois avant la date d'arrivée .